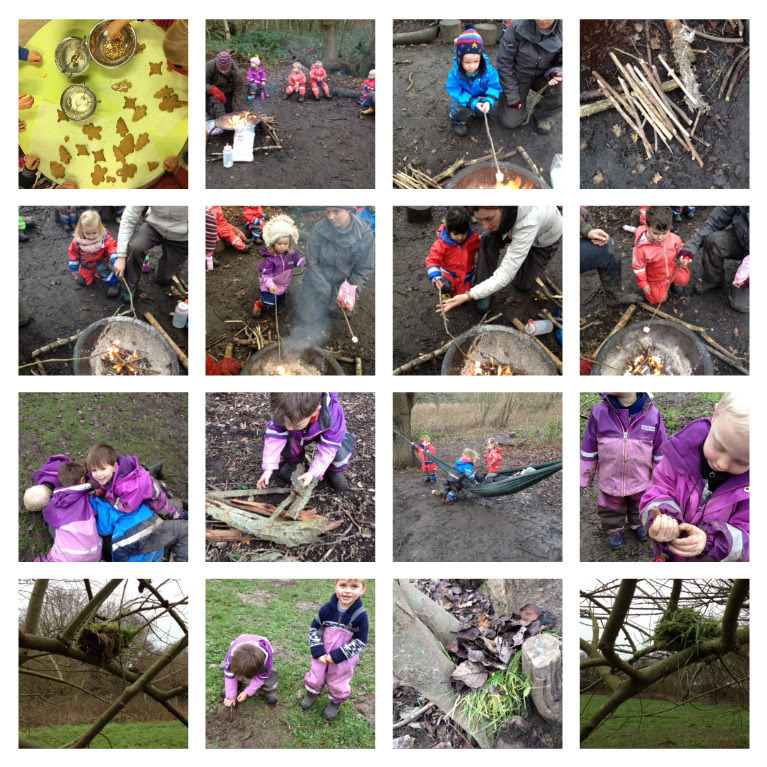 In the forest this week, we continued our Christmas theme.The children have been making wooden Christmas trees and toasting marshmallows on the open fire. It was fantastic to see them all waiting so patiently until it was time to take their turn and they all showed off their great listening skills as they followed the safety instructions on how to toast their marshmallows. Again keeping in the Christmas spirit, we were also on the look out for any Robins that we could spot in the forest, the children had great fun exploring the forest and looking for the Robin's nests up high in the trees. They even had a go at making their own birds nests from sticks, leaves and grass. The children especially enjoyed using the special app to listen to all the wonderful noises that the different woodland birds make and imagine our surprise when Mr Robin actually sang back to us! There was again lots of free and creative play, with imaginations (and lots of little legs) running wild. Our cookery lesson this week featured e a delicious pasta bake and the children used their beautiful artistic skills to decorate their gingerbread trees.